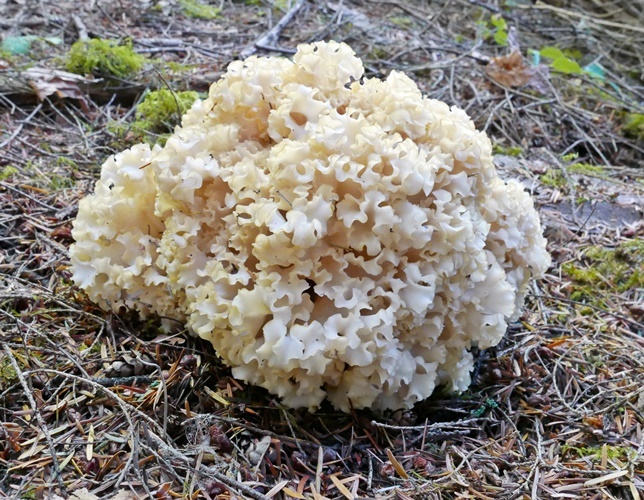 fruiting body is up to 30 cm broad, whitish to yellowish, shaped like a cauliflower head with a spongy, curly rosette exterior. appears in the late summer and fall. grows singly or in small groups on the ground at or near the base of conifers. has a mild, pleasant taste and indistinct odor; cook thoroughly before eating, younger specimens are preferred.